Here's a simple interaction designed to showcase a series of videos. 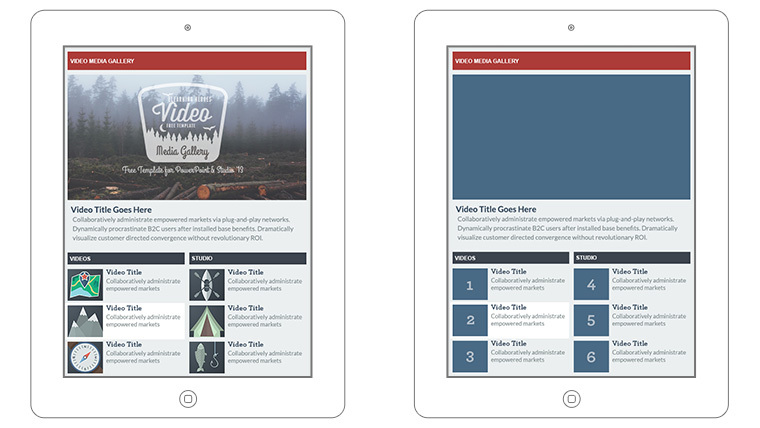 Using Storyline's slide layers, learners can click the video thumbnails to view a series of videos. The template is fully editable so you can customize the colors and fonts for your own projects. Браво, Дэвид! Ты открываешь новые горизонты! Спасибо! Great! Hey David! Great share; thanks! I have a question that I'd like to ask. In this project you are mixing several video media flies together. Let's assume that you loaded the files into Storyline. Did you do any pre-work with the individual video files to ensure that they have the same compression, frame rate, quality (etc.)? Is this something that others have encountered in their work? What steps or standards did you decide on? I want to invent a project to use this technique, no matter if it's for nobody and only for my portfolio. Thanks a lot David! Thanks for sharing. This is great.